Overhead Door Co. of Flint are the only ones in Genesee County handling The Genuine, The Original, Red Ribbon brand of openers, security gates, garage and overhead doors. Other companies and home improvement stores in your area might say they offer the same brand and quality, but Overhead Door Co. of Flint have offered the original Overhead Door quality since 1953. Overhead Door is one of the most recognized and respected brands in the garage door industry. For over 90 years, the Overhead Door brand has stood for product quality and expertise, as well as professional services. 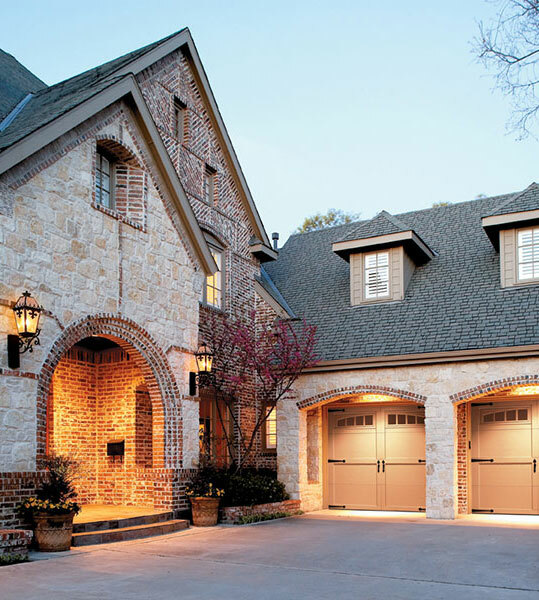 From commercial and industrial, overhead doors to residential garage doors and openers, we combine quality and dependable products with reliable service from our technicians with over 20 years on-the-job experience at a competitive price. With our nationwide network of more than 450 authorized Red Ribbon Distributors, we are a leading provider of overhead and garage door systems, and we continue to lead the way with reliable solutions and unmatched professional installation, service and support that keeps customers coming back. Didn’t purchase from us? That’s ok, we sell overhead door quality products and service all brands of overhead doors, no matter where you bought from or who installed it. Browse through our portfolio from the comfort of your home or stop in and visit our large showroom located at 2435 S. Grand Traverse, Flint, Michigan 48503 to see and touch the product before you decide which of our quality products you want installed on your property.